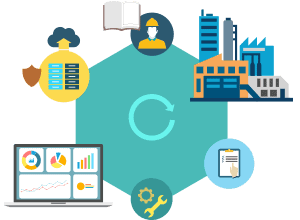 If you are a manufacturer or a distributor, learn more on why OmegaCube ERP is the right-fit enterprise software for your organization. 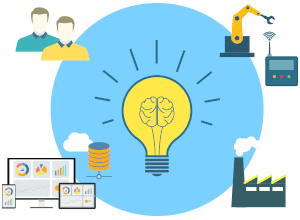 Our in-depth knowledge on manufacturing, retail and distribution segments coupled with strong expertise on ERP technology makes us a reliable partner, helping you to seamlessly transform your manufacturing organization into a well-connected enterprise running on improved business processes and workflows. Our in-house team of ERP experts and consultants develop, implement and support our clients’ varied business requirements. Using innovative tools and techniques, we have helped many of our customers gain competitive edge in the market. Our flagship product, OmegaCube ERP gains its strength from a powerful technology platform, OmegaCube Edge. It is a web-based technology platform designed to create robust enterprise solutions that can run on multiple devices (phones, tablets etc.) and integrated with OmegaCube ERP. Apart from these, OmegaCube ERP can be easily integrated with third-party applications that run CAD/CAM, Nesting, Bar-Code technology etc. 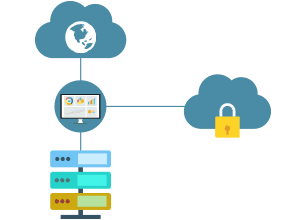 OmegaCube provides complete flexibility in your hands to deploy OmegaCube ERP on your premises or on a public cloud or on a private cloud. Irrespective of the choice of deployment, the application is available to you from anywhere, anytime and from any supported device. Moreover, you can move the application between cloud and on-premises environments without much hassle. OmegaCube ERP is also offered as a pre-configured application for the public cloud that you can instantly implement and use. We believe that, “No two companies operate exactly the same and businesses need flexibility in their systems in order to maintain their competitive edge”. Our implementation approach reflects this belief and is tailor-made based on each business requirement. Our multi-pronged and time-tested implementation process has helps us to achieve our goal of successfully implementing OmegaCube ERP in the first attempt itself. 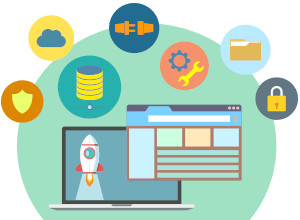 This has helped our customers to achieve a swift & smooth transition to the new business management platform, achieve workflow automation, improve operational efficiency, maximize profits and increase their focus on business growth. 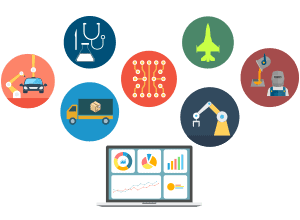 OmegaCube ERP is designed to serve the needs of major industry segments namely, Automotive, Metal Fabrication, Aerospace, Industrial Machinery, Medical Precision Products, Electronics etc. The pre-built capabilities of OmegaCube ERP along with its nature of customization, flexibility and backed by the powerful OmegaCube Edge platform makes it readily adaptable to these industry segments.